The Medicare-age active worker has used helicopter evacuation services and international medical services. (Bloomberg) — U.S. Secretary of State John Kerry’s broken leg, sustained in a bicycling accident, could complicate though not derail efforts to reach a nuclear accord with Iran by a June 30 deadline. The accident in eastern France Sunday, which forced Kerry to cut short a trip to Europe, will limit his travel as the U.S. and other world powers enter a crucial stretch of negotiations on an agreement that would curb Iran’s nuclear program in exchange for an easing of economic sanctions. Three former State Department officials said Kerry is sure to find ways to keep negotiations on track, even if off his feet for weeks. The top U.S. diplomat met with his Iranian counterpart, foreign minister Javad Zarif, for about six hours in Geneva on Saturday. The pair’s next meeting was expected to be in about two weeks, which would give Kerry some time to start what could be a long recovery. Technical experts will hold talks in the meantime, starting in Vienna within a few days. As was the case when the preliminary deal was made in Lausanne, Switzerland, in April, negotiations are expected to peak as the deadline nears. Kerry, 71, fell from his bike, apparently after hitting a curb along the roadside near the town of Scionzier, a State Department official said on condition of not being further identified. The avid cyclist was transported about 40 kilometers (25 miles) by medical helicopter to University Hospital in Geneva, where his injury was evaluated. Kerry’s return, initially planned for Sunday evening, was postponed until Monday because “it was sensible for him to remain in the hospital for observation overnight for purely precautionary measures,” Kirby said in a later statement. Kerry “continues to be in great spirits and active” and has talked by phone with President Barack Obama and others, Kirby said. While Kerry may be able to work from a hospital bed and from home while recuperating, his injury could complicate negotiations on Iran by limiting his globe-trotting. Limited travel may be possible “in a matter of weeks,” although precautions would be needed to make it safe, said Dr. David Teuscher, president of the American Academy of Orthopaedic Surgeons. Kerry may need to use a walker or crutches for the next six to eight weeks and may not be able to resume a full schedule and walk independently for about three months, said Teuscher, a surgeon based in Beaumont, Texas. Since taking office in 2013, Kerry has chalked up more than 819,000 miles in visits to 63 countries, according to the State Department. While the fate of the Iran talks ultimately depends on whether a deal satisfies the interests of both Iran and world powers, Kerry and Zarif have held one-on-one talks at key points to define differences and areas of agreement. The two men took a walk in January on the streets of Geneva to help reach a framework for a nuclear deal, although the resulting publicity drew a backlash among Iran’s hardliners who accused Zarif of being too friendly toward the U.S. Yet Goldenberg, now director of the Middle East Security Program at the Center for a New American Security, said Kerry will be able to work around his injury and hold meetings as needed. “They can find a way to make this work,” he said, recalling that Zarif participated in some negotiations for an initial Iran deal while in a wheelchair. “Secretary Kerry’s injury is bound to have some impact on the negotiations, but I don’t think it will be decisive,” said Nicholas Burns, a former State Department official in the George W. Bush administration who is now at Harvard University’s Kennedy School of Government. Undersecretary of State for Political Affairs Wendy Sherman “will do much of the negotiating anyway,” as she has throughout the talks, while Kerry will be available by phone, Burns said in an e-mailed statement. While Sherman has announced she’s retiring, she indicated she will stay on through the Iran negotiations. Kirby confirmed that Kerry broke his right femur. The bone is commonly referred to as the thigh bone. The longest and strongest in the human body, it usually takes considerable force — such as the impact of a car crash — to break, according to the academy. Kerry had been scheduled to fly to Madrid Sunday. He was also scheduled to meet with other members of the coalition against the Islamic State militant group on Tuesday in Paris. 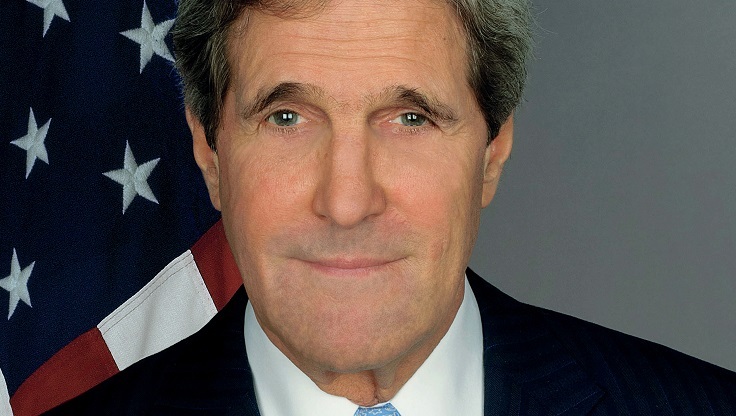 Kerry plans to participate in the Paris meeting “remotely,” Kirby said. Kerry’s injury, while unfortunate, could prove helpful to the Obama administration if talks need to be extended beyond the deadline set by negotiators, said Miller, now a vice president at the Wilson Center, a policy research group in Washington. Goldenberg, the former Kerry aide, discounted the possibility of the injury becoming a basis for a deadline extension, even if talks do get extended. The secretary was enjoying a rare free morning after his meeting with Zarif at the time of his accident. He fell while riding in the direction of the Col de la Colombiere, a mountain pass used many times in the Tour de France bicycle race.